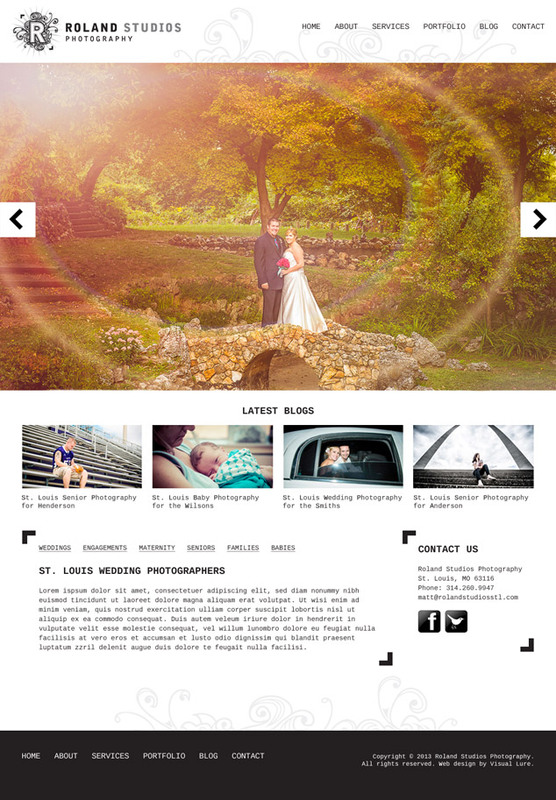 Visual Lure was recently contracted to design a custom WordPress website/theme for Roland Studios Photography, a husband and wife photography team located in St. Louis, MO. 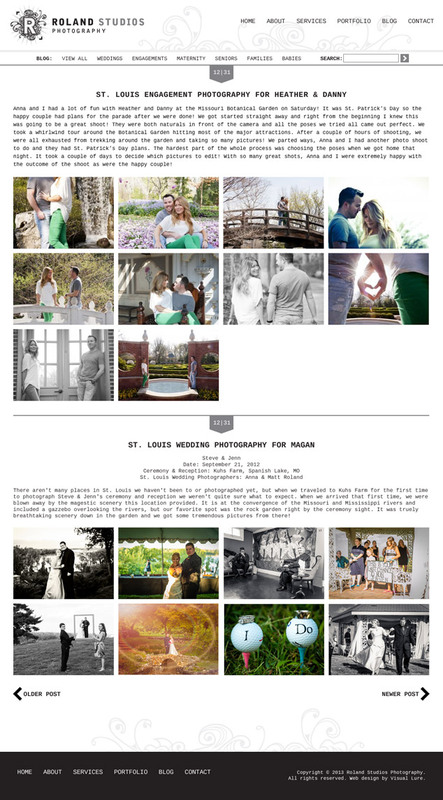 They specialize in wedding photography, but they also shoot tons of engagements, seniors, families, maternity and babies. Their previous website was built using an existing WordPress theme, but it had tons of limitation when it came to customizations. It forced them to use certain areas to place content whether content needed to be there or not. It wasn’t very user or search engine friendly and had issues when viewed on iPads and smartphones. The new website was designed specifically to be search engine optimized, user friendly, and admin friendly, making it easy to update and edit pages, images and blog post. For the design, we used elements from their logo to tie everything together. Check back soon for the official launch: www.rolandstudiosstl.com. 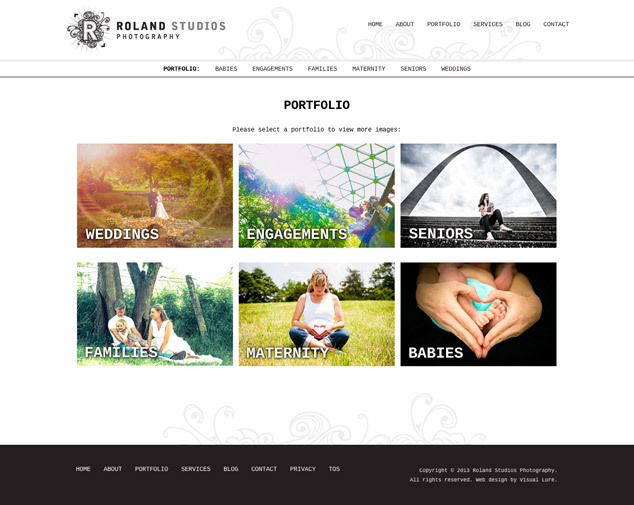 Project Update: The new website has been launched and can be view here: www.rolandstudiosstl.com.